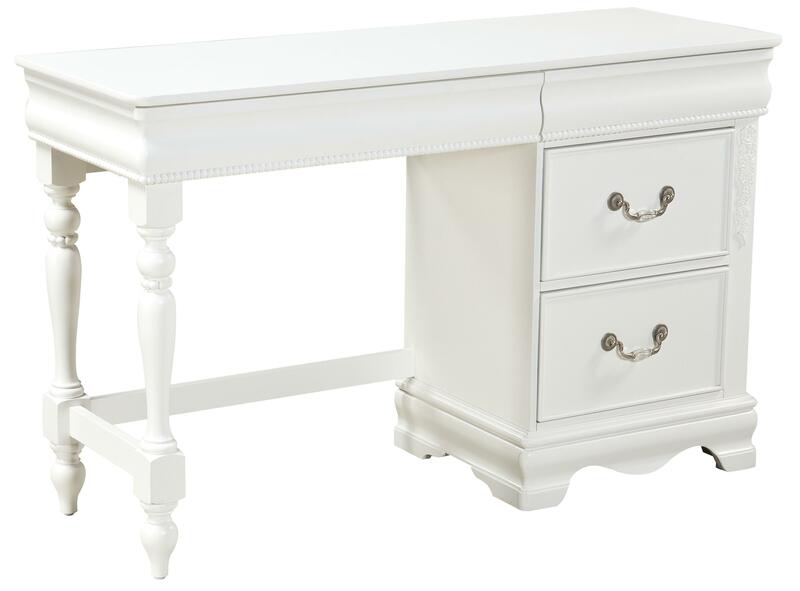 Accent your youth's bedroom with the Jessica Desk. 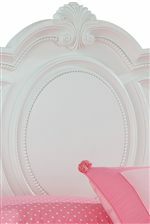 Perfect for adding working space to a bedroom, it is also full of pretty details to visually please. 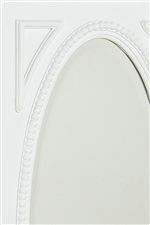 It is crafted from solid hardwood and quality wood products with a clean white or silver paint finish. Featuring beaded pearl trim and beautiful floral ornaments, this desk is a truly charming piece. Two deep drawers provide convenient storage space for accessories and office items, and a keyboard drawer is also provided. Whether it is used as a child's homework desk, your young one's artistic escape, or a teen's studying area, the Jessica Desk is a lovely addition to a bedroom. Accented with scrolled hardware in a brushed nickel color. 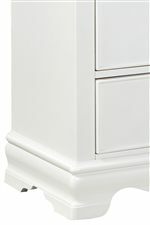 The Jessica Single Pedestal Desk with 3 Drawers by Standard Furniture at Miskelly Furniture in the Jackson, Pearl, Madison, Ridgeland, Flowood Mississippi area. Product availability may vary. Contact us for the most current availability on this product.